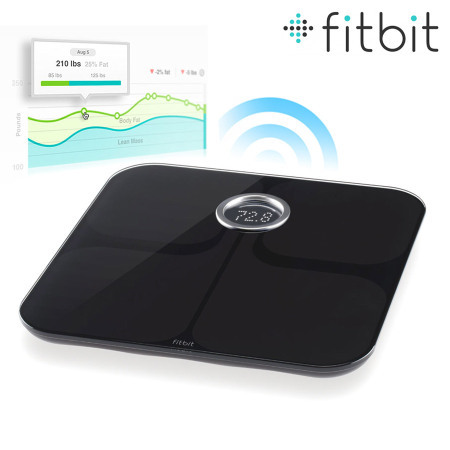 Monitor your weight, body fat, BMI and other parameters over time using these digital wireless bathroom smart scales by Fitbit. Like any scale, Fitbit Aria measures your weight. But unlike most scales, Aria’s glass surface contains electrodes that send a small, safe signal through your body to measure body impedance, giving you accurate data on your body’s fat and lean mass. 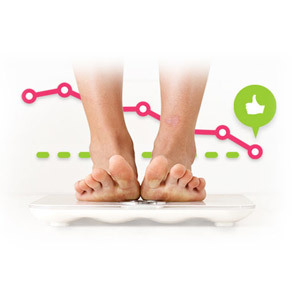 The Fitbit Aria tracks body fat and body mass index (BMI) as well as weight. 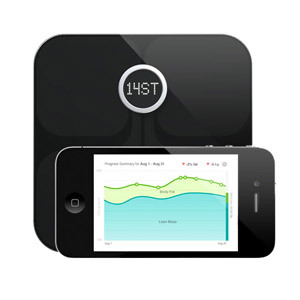 Using several types of measurements helps you better understand your fitness progress. Weight can be measured in pounds, kilograms, or stones. The Aria's weight limit is 350 pounds. 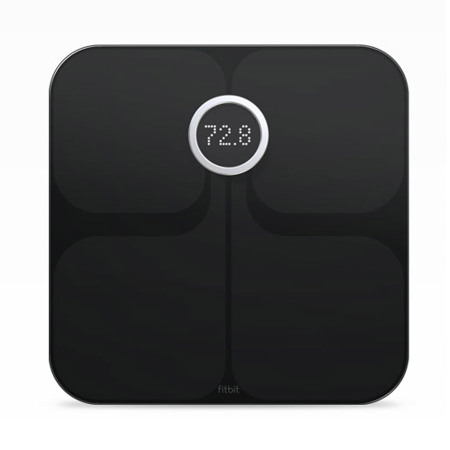 The Fitbit Aria Scale uploads your data through Wi-Fi directly to your Fitbit dashboard. 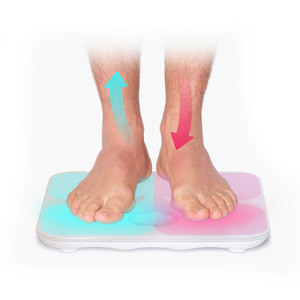 The scale will automatically recognize up to eight users by weight so you need only step on it to send your latest weight stats to your account. Your data on the scale remains private unless you choose to share it with other users. Using your Fitbit.com account, you can track your progress with charts and graphs. 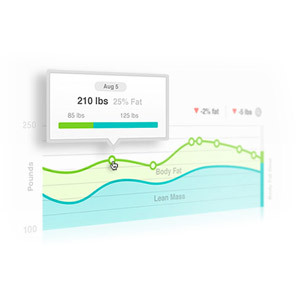 You can use free tools to set weight goals, log food, other activities. Fitbit offers Android, Windows Phone and iPhone apps so you can set goals, log food and other activities, and see your progress toward your weight goals on the go. *PLEASE NOTE: Fitbit is the first connected device to offer both Bluetooth 4.0 syncing to select iOS, Android and Windows Phone devices. Syncing is available on all iOS devices after the iPhone 4S. For Android, while many phones have a Bluetooth 4.0 chip, not all are able to be accessed by apps like Fitbit. Fitbit is working closely with phone manufacturers to try to develop syncing capabilities for more phones. Windows Phone app requires Windows Phone 8.1 and Bluetooth 4.0 LE or later. Please check here to see the latest devices with sync support. As you progress toward your weight goal, Fitbit.com awards you with badges for extra motivation. If you prefer, you can build a support network by sharing your weight goals and achievements with friends and family on Fitbit.com or through Facebook and Twitter. Fitbit's privacy settings make it easy to let you choose what to share on Fitbit, Facebook and Twitter. Multiple measurement units: lb. kg. st.